Commercial roofs are designed to last for decades, but there is no guarantee that any roof will live up to its full expectations. Anything can happen at any time, but most roofs will show signs of “wear and tear” long before they reach critical failure. Here are five signs that your roof is telling you to call in an expert commercial roofer for help. Tears and holes in the roof membrane are obvious signs that the roof is in need of repair, however, blistering and other blemishes can be a sign that moisture is trapped within or beneath the membrane. That trapped water will eventually cause bigger problems if it is not dealt with quickly. Flashings are the materials that connect the roof membrane to adjacent walls, curbs, penetrations and other building components. Damage or tears in the flashing should be identified, repaired or replaced immediately, because water will enter the system through these defects. Sheet metal components that are embedded in the roof often have joints that can be sources of water entry into the roof system. These should be checked regularly. When walking on the roof, it should feel sturdy and that feeling should be consistent at every step. If any portion of the roof feels “mushy”, it is a signal that the insulation has gotten wet. Waterlogged insulation indicates serious trouble and it leads to major issues in a roofing system. This situation can ultimately compromise the integrity of the roof deck if it is detected too late. Soft spots should be examined by a professional as soon as they are identified. Note that wet insulation might indicate problems with things other than the roof itself. For example, interior moisture can migrate into the roof insulation if a vapor retarder is not used when needed, or is damaged. Not all roof leaks lead to water dripping through a ceiling and splashing on the floor. Water can also seep through the building and make its way into internal walls and ceilings. If you notice water stains on ceilings or around doors, or if you see rust on metal in an exposed deck, it’s a good indication that there is a problem on the roof that needs attention. 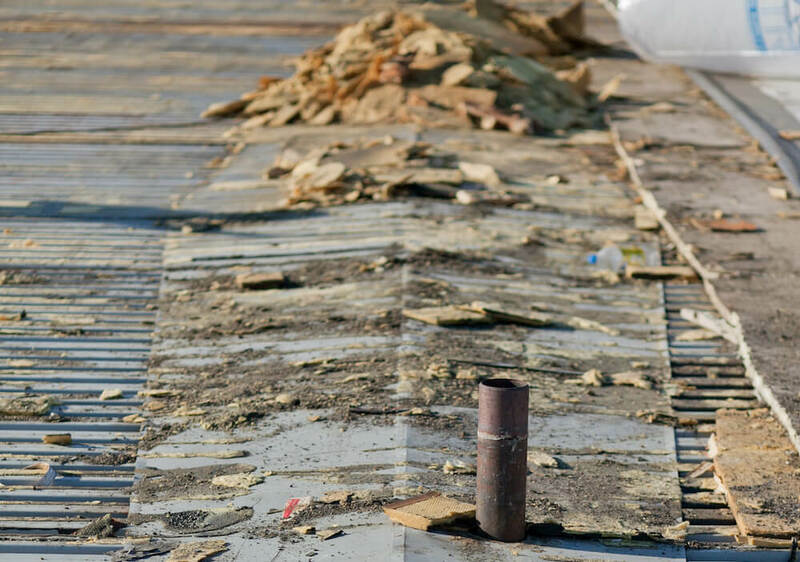 The most obvious sign that you need to call a commercial roofer is leaks. When water is dripping onto internal floors of the building, you’ve got a serious problem somewhere in the system, Leaks do not get better on their own – they only get worse. Nobody likes thinking about repairing or replacing a roof, but your system will tell you when it needs a little bit of TLC. If you see any of these obvious and not-so-obvious signs of damage and decay, it’s time to call an expert for help.